More than 150 athletes are expected to participate in both disciplines for this year’s tournament with players flying in from Lae, Morobe Province and also from Cairns Australia to join the POM-based players. BSP’s Head of Marketing, Gorethy Semi said, “The bank is always proud to support and develop sports in PNG and believes that through tournaments such as this, selectors are able to identify young racquet stars to represent PNG at larger tournaments in the Pacific, Asia and Oceania Regions. “On behalf of BSP, I would like to wish all the athletes and officials a successful tournament this year and we look forward to watching players from this tournament vying to maintain or exceed their current rankings in these disciplines. 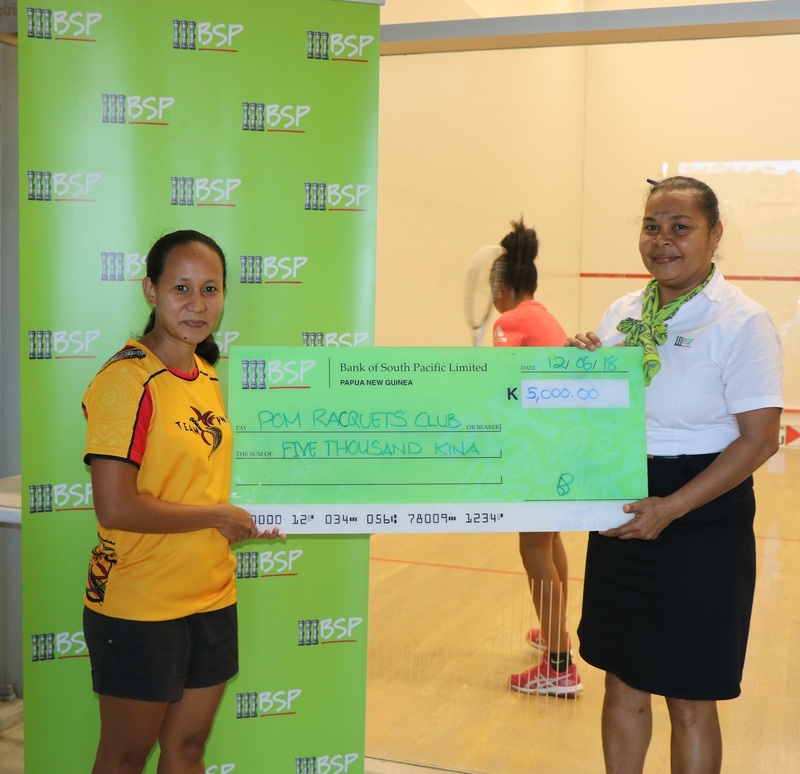 Port Moresby Racquet Club representative and Squash Tournament Director, Merlyn Alarcos-Kriebisch thanked BSP for its continued support towards the tournament saying, “The three day Tournament will see the best Squash and Tennis players vying to retain their current ranking or better it in 2018.